The Indian Urban mobility landscape has completely transformed since the introduction of cab aggregators like Ola and Uber. These digital products have gained fast and vast popularity owing to the uniqueness of way they work. They have proved that cheaper price, better customer service and a remarkable brand recall is all that is required to rule a market niche. Their aim to organize the highly fragmented Indian transportation sector has received a very positive response both from riders as well as drivers. For these cab aggregators, the heart of their business is their technology. The rise of the smartphone generation has lead to the constant evolution of the cab booking app that connects drivers and riders with a few simple taps on its interface. The cars are mostly in good quality and the rates are pre decided. The rides also end with a rating system for both the driver and the rider and all through are integrated with built in Google maps and ride status indicators. Now these are impressive features and even unimaginable in a country like India where taxi drivers and passengers have always had a love hate relationship. At the core of this phenomenal success of Ola and Uber is its design and fantastic user experience. When thinking about a product, User Experience designers should be able to answer key questions such as What user problem do we solve? For whom are we doing this? Why are we doing this? How will we do this? and What do we want to achieve? The answers will tell us our goal, our target audience, our vision and our strategy while designing a product. A perfect example of a product team which has kept these questions in mind is Uber. We all know how the recent re branding of Uber received a lot of appreciation. This is proof that the brand is beginning its take on a wholesome consumer -centric approach. The simple yet powerful UI tracks hundreds of cars across 300 cities while also tracking user feedback and managing a cashless system of payment. We sigh in satisfaction when we look at a few user friendly features that have been seamlessly incorporated in our act of booking a cab by both Uber and Ola, the Indian giant. Uber now has more than five categories of cars to choose from. This gives the user the choice to be able to get a car according to their need, be it an airport ride or a hired car for multiple stops. 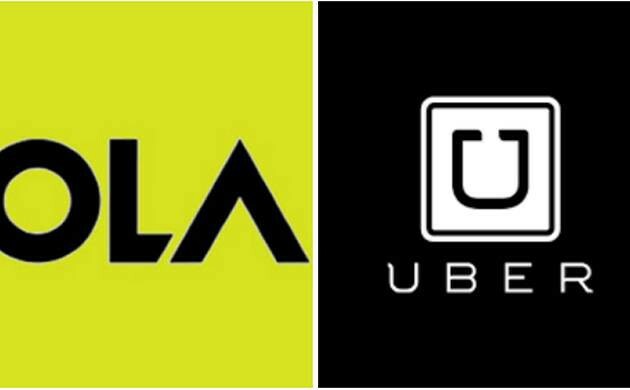 Ola even allows outstation car rentals and shuttle services. An unique concept is the carpool or share system. In India we are accustomed to sharing auto rickshaws and office cabs. How great it is to harness this feature into an aggregator app. It has now encouraged riders and drivers to be more social while travelling the same route together. The dynamic change of route map looks great too. It has integrated smooth transitions and animations that allows easy spotting of the cab on the map. All designers are aware of the fact that easy to use design is the driving force behind the rapid success of any digital product. The user is always royalty when it comes to design that works. Imagine a scenario where I book a car remotely for my parents in Kolkata while I am in Delhi. Uber not only let me does that but also asks me who the ride is for so it can sync with my contact list seamlessly. If that’s not innovation what is? I have come across such situations where a sixty year old lady was booking a shared ride for the very first time and put the same address in both source and destination. It was undeniably funny however I could not help but admire how she is so wonderfully comfortable using a technology that didn’t even exist five years ago but now is a part of the daily travel rituals. The same way I am pleasantly surprised when I see an elderly driver checking Google Maps like a pro. He kept insisting it has made his life a lot easier while driving around the busy city. This is coming from a man who is the sole breadwinner of a family of four and driving is his only full time job.That is the triumph of good design right there. Even the greatest apps have had their share of flaws and Ola and Uber also have theirs. When we look for a missing emergency feature or a missing ride later feature in Uber’s case, we might feel that these two products still need to tweak themselves to achieve even better user experience. What’s the lesson here? User centered design can make or break your product — so carefully consider the delicate mix of complexity versus the ease of use. The goal is to create a human experience in all its glory. A product is always as great as the consumer who it is made for.